RWD are award-winning designers of luxury sailing and motor yacht interiors and exteriors of the highest quality. 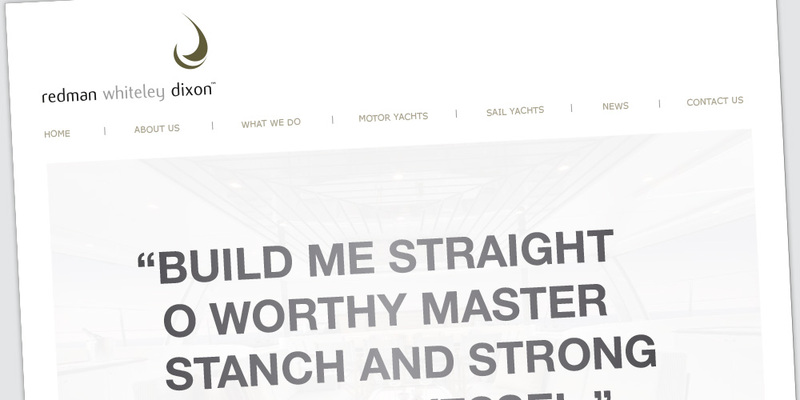 With superyachts such as Twizzle, MY Como, Baton Rouge and Kokomo in their enviable portfolio, RWD asked us to create a website that would reflect their outstanding services and showcase the true beauty of their designs. We designed and built such a site, together with a micro site for their ever-popular Beaulieu-Monaco Auto Tour. Precision Creative and Media is a full service digital, print and broadcast creative and media agency based in Hampshire. We provide B2B and B2C services with extensive experience in age and ageing, health and pharmaceuticals, travel and leisure, and marine. Precision Creative and Media Ltd, Registered in England. Company number 8478179. Bramble House, Furzehall Farm, 112 Wickham Road, Fareham, Hants, PO16 7JH.